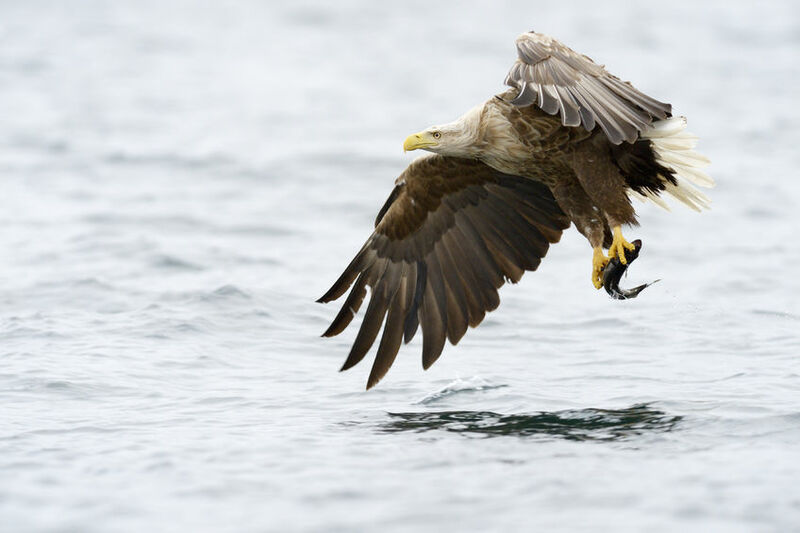 Natural England have approved a permit to release sixty sea eagles onto the Isle of Wight over a five-year period despite concern from sheep farmers. Due to be released this summer, farmers hold concerns that the white-tailed sea eagles could kill livestock, in particular lambs. Farmers feel strongly that the birds could affect the livelihoods of small-scale businesses due to a lack of wild prey. It is reported that there will be no compensation or protection for farmers whose stock has been killed, injured or taken by the birds. The National Sheep Association (NSA) said it is 'extremely disappointed' by the decision to release the birds. NSA Chief Executive, Phil Stocker said the organisation is 'frustrated' because the impact assessment has 'not been done properly'. “We have heard of no agreement over the legally binding actions or compensation available to peoples whose livelihoods are affected,” he said. “Make no mistake these birds are a top of the food chain predator whose behaviour will adapt relating to food needs and availability. “With wingspans reaching 6ft we will see them taking livestock and other domestic animals and we will have consciously taken a decision that contradicts our interests in improving animal welfare and avoiding suffering,” Mr Stocker added. The National Sheep Association has now written to Natural England emphasising the 'serious concerns' farmers have about the release. The group is seeking answers over legally binding actions that livestock keepers can take and the responsibilities of government in compensating for losses. Last year, laser beam technology was trialled in Scotland as a method to deter white-tailed sea eagles from killing lambs.